You can edit a service by going to the Services page and select the service you wish to edit. 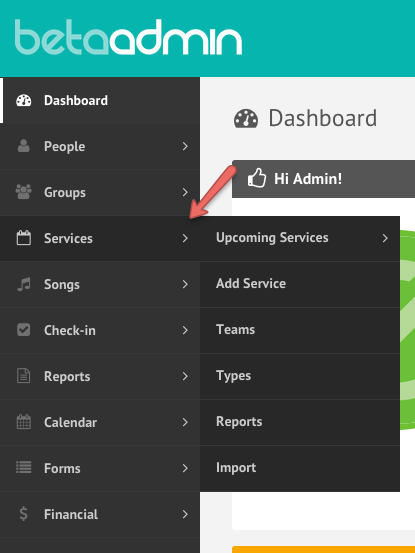 From there you can edit details, create a service plan, schedule volunteers and more. The different tabs at the top allow you to edit different aspects of the service, or in the case of Check-in, allow you to enter the Check-in area for the selected service. When editing details about the service, such as name, date, or time, you will have to use the Save button, but when editing the service plan, the changes are saved automatically. If you would like to edit multiple services at once, read this article.